Politics. Proving just as fickle as football. Goodbye 2010. 2010 has been a milestone year for me, which included the long overdue proposal of marriage to my girlfriend of nine years, an amazing family holiday and a headfirst smash into the 30th year of my life. It’s the latter that has prompted me to take stock of things and consider what I really should be doing. What should be making me happy. It’s funny how you see certain things for what they are when you hit the big three-oh. More than anything, and without trying to sound like an American, I’ve realised there are certain paths I really should explore before I hit the next milestone in ten years’ time. If I don’t, I know I’ll regret it forever and I urge anyone reading this to do the same. But what of 2010 in general? As usual, I feel it prevalent to write my end of year blog for those that care (hi, Mum). It has been a big year, no doubt. 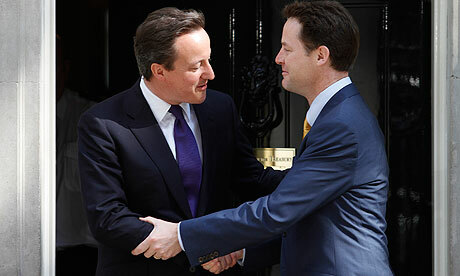 The recession is anything but over and we have a newly formed coalition running the country. A coalition that is, day by day, obliterating the Lib Dems and creating a solitary, solemn, once-revered figure in Nick Clegg. The man’s fall from near superstardom to a widely despised recipient of burning effigies in a matter of months has been nothing short of startling. Still, at least Cameron’s enjoying himself. However, the most lingering memories of 2010 are football-related and all nod to what is a rapidly self-destructing force: English football. Firstly there was the Word Cup which was, and let’s make no bones about this, an utter disaster for the English game. We looked uninterested, out of ideas and, worst of all, not up to standard. It’s not about the manager, or the players – it’s about the lack of interest or investment we put into football in this country. Like so many things, the men in charge just don’t care enough. Until that’s put right we won’t win a thing and we might as well just get used to that fact. I have, finally. Then there was Mr Rooney, who hammered his own nail into the coffin of English football with what has to be one of the most poorly orchestrated, ill-conceived contract negotiations of all time. It was a week which left a decidedly sickly taste at the back of my throat and one which Wayne and his entourage should be eternally ashamed of. Money is killing our game, but it’s not just at a local level. Oh no. FIFA confirmed once and for all that it is readiness of money and influence on global trade that wins you votes by awarding future World Cups to Russia and Qatar. The latter, in particular, is about as barmy a decision as you’re ever likely to see and has presented a genuine case for the English FA to pull us out of FIFA altogether. So there you have it. Politics and football dominated my year and proved they’re intrinsically linked. I suggest we all set our sights and hopes relatively low for 2011. As defeatist as that sounds, at least none of us will be disappointed when it all goes Nick Clegg. A post a day? I give myself until February.